Grateful Dead, one of Rolling Stone‘s 100 Greatest Artists Of All Time, is more than a rock legend — it’s a marketing powerhouse. 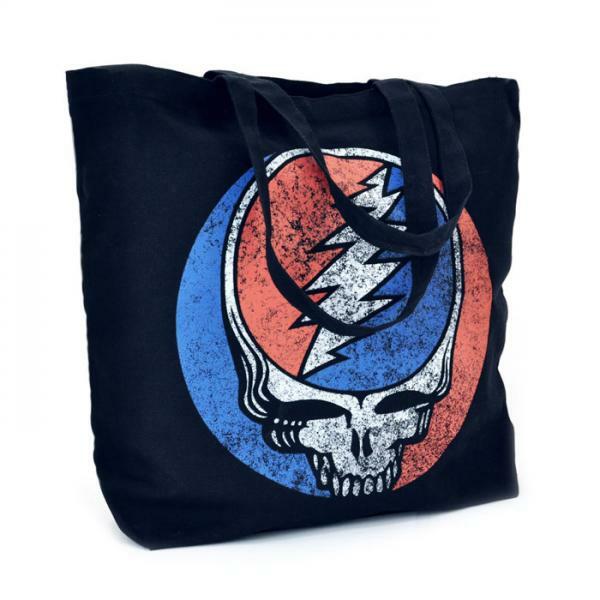 The band is selling various promotional items online at dead.net — everything from custom tote bags and t-shirts to promotional keychains and picture frames. What a classic example of monetizing and extending a brand. The band continues to rake in money and get exposure because it’s smartly using Grateful Dead promotional products showcasing their logo. It has a pre-established, loyal audience (hello, Deadheads! ), and they’re happy to wear, carry and display promotional products that bear the Grateful Dead name. As a result, the Grateful Dead brand gets continued visibility and growth. That’s some serious promo know-how. Promo know-how tip: If your company has a dedicated fan base, put your brand to work by selling your audience promotional products.